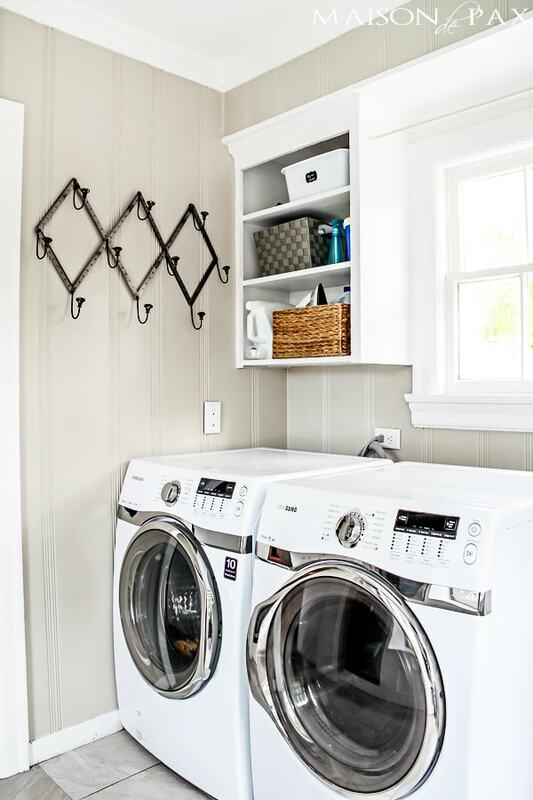 As I shared in my first reveal of our new laundry room a few weeks ago, we have three children. Translation? Laundry, laundry, and more laundry. Oh, and shoes, bags, and cleaning supplies galore. Plus, since our 75 year old home has no garage, our laundry room doubles not only as our mudroom but also our tool storage. As avid DIYers, we might or might not have a lot of those… So you can imagine how hard this room has to work. And here are my top 10 tips for making that magic happen. 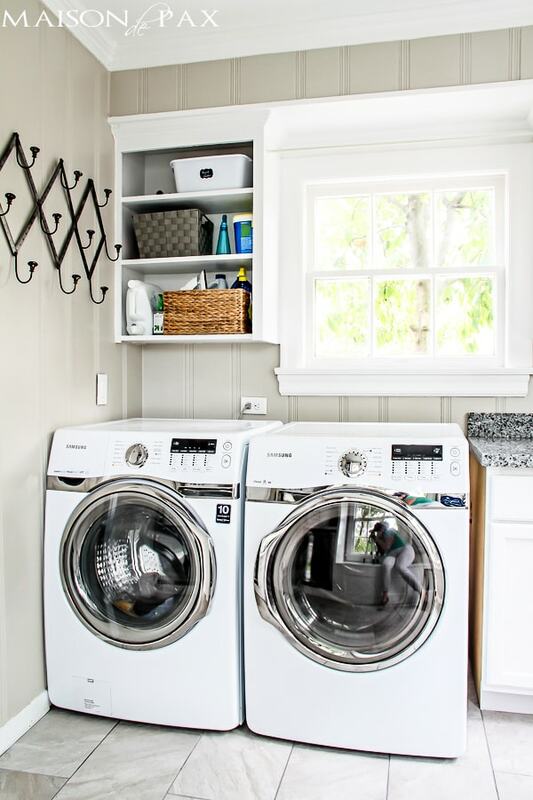 Most laundry rooms are not the biggest rooms in the house. If you aren’t already using wall space, do it so you can free some floor space. I love this set of accordion hooks because it not only provides me with 10 hooks in a cool pattern (I could probably only fit 4 side by side here), but it adjusts to fit your space. 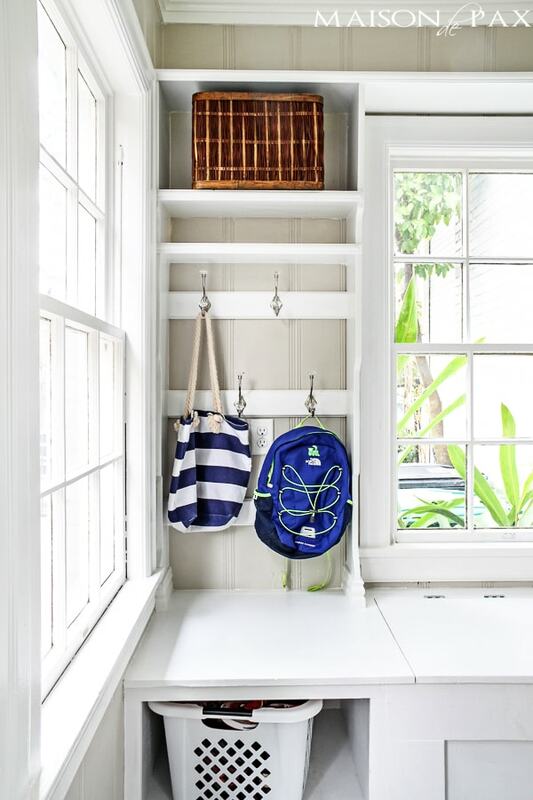 And it’s perfect for kids’ bathing suits, unmatched socks, and even lacy underwear unmentionables. 😉 I ordered mine from One Kings Lane, and they unfortunately are not currently carrying them, but you can find a basic wooden one here *. 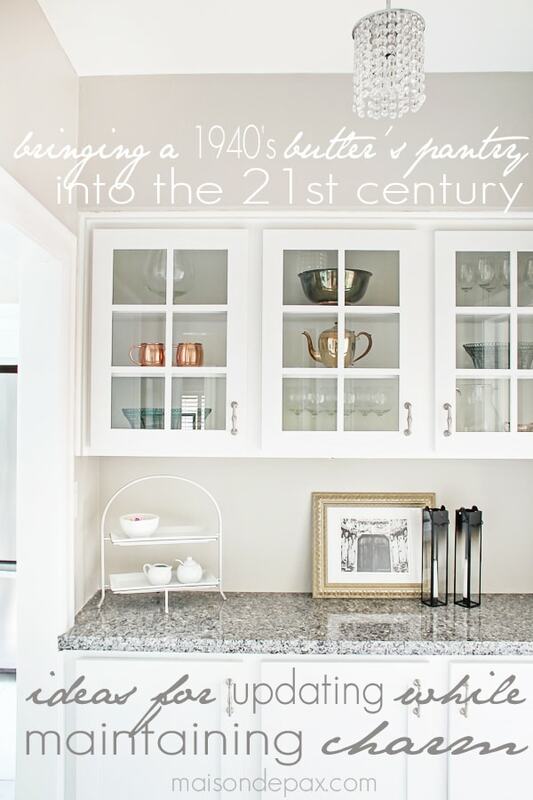 Again, prompted by those open cabinets, there’s no comparison between messy, disorganized shelves and cute little boxes, right? But most importantly, it actually helps you find things. You can even label them if you want (try these diy chalkboard labels for a fun and affordable option). And remember, they don’t all have to match! Use a combination of thrift store or clearance ones, like these from HomeGoods (and if you need help making them coordinate, try this affordable tutorial). 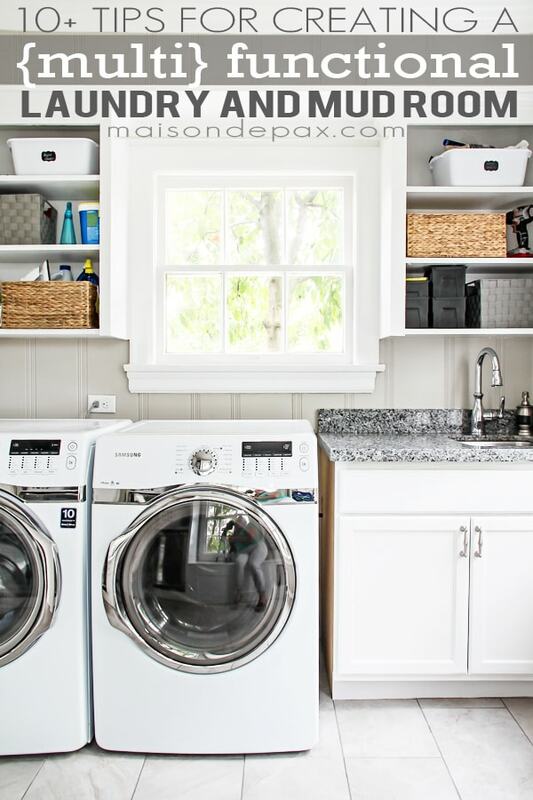 One of my favorite tubs to use for pantry or laundry room storage are actually dishpans. You can find them at Target here or most major grocery stores. Hard to beat sturdy, white tubs for less than $2. Add a cute chalkboard label from this stuff* and you’re all set! This has been a game changer for me. 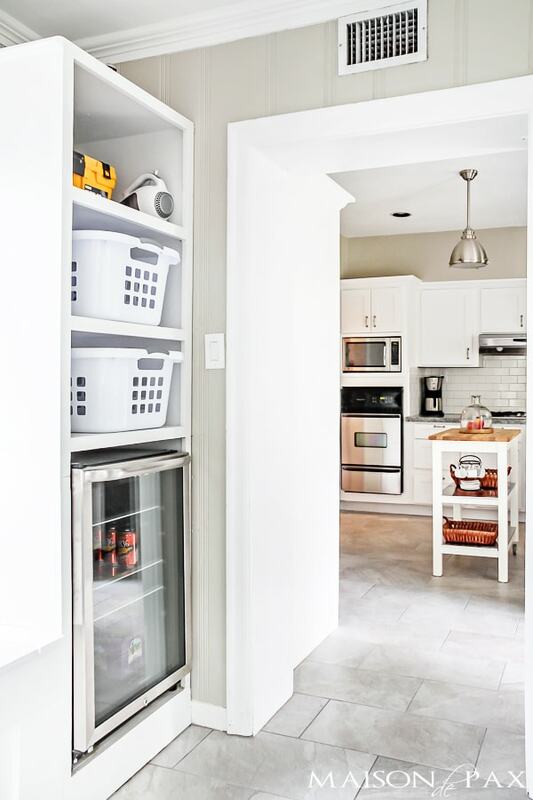 There is nothing like having a designated spot for the laundry baskets; it not only allows me to put them away, but it hides the clothes that may or may not be piling out of them. 😉 And building them so that they are deep enough to put the baskets in head first (do laundry baskets have a head??) means they take up less wall space. It’s a win for this room. 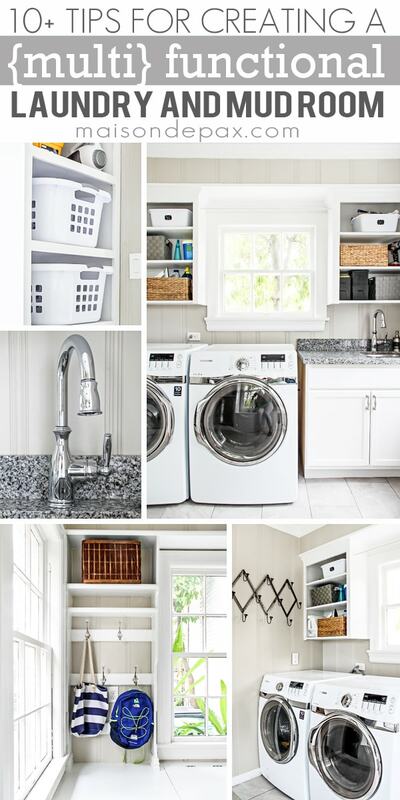 I realize that not everyone has room for a laundry sink, obviously, but if you do, I highly encourage you to consider putting it beside your units rather than between them. 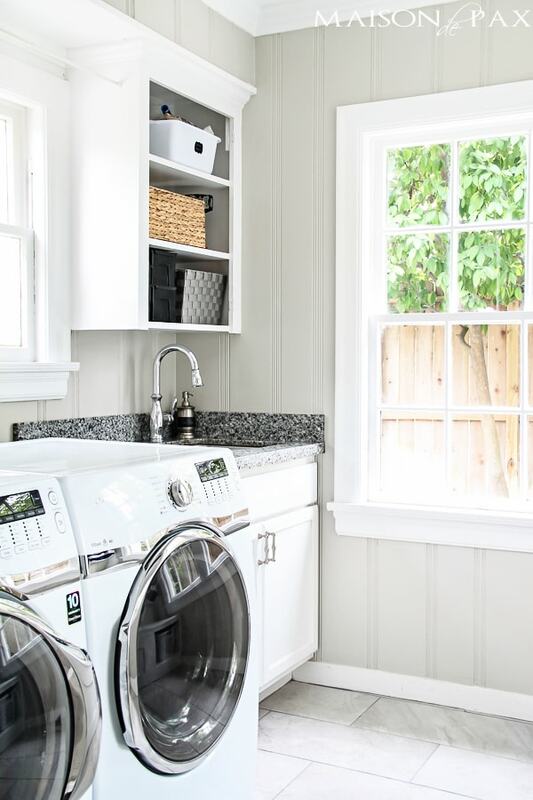 I love the symmetry of the sink between the washer and dryer, but I’ve realized that it limits your workable space and makes moving clothes from the washer to the dryer more difficult. On the side, you can use the dual surface of the w/d together for folding and still have things soaking in the sink if necessary. 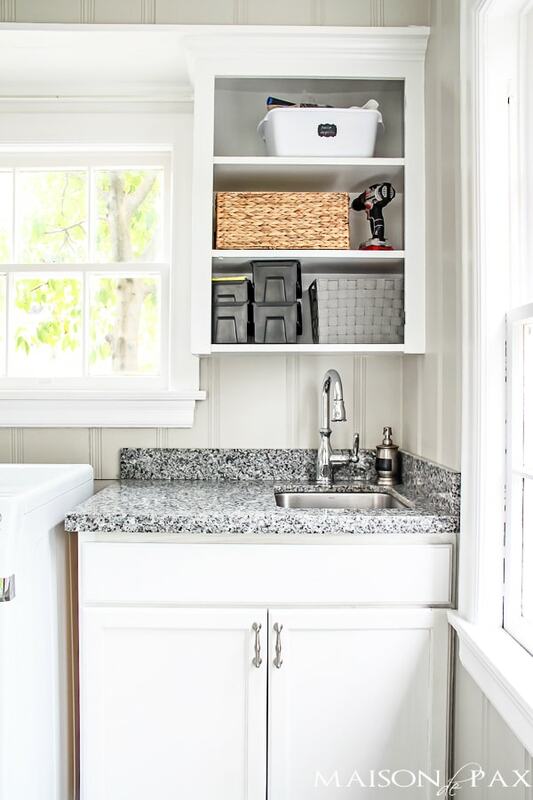 When you’re working with a single sink base counter (we bought this one* from Home Depot – a great affordable option), you probably don’t want to eat up the whole thing with a giant sink. This deep but fairly narrow sink from Moen* was the perfect solution – set off to the side to afford some counter space. 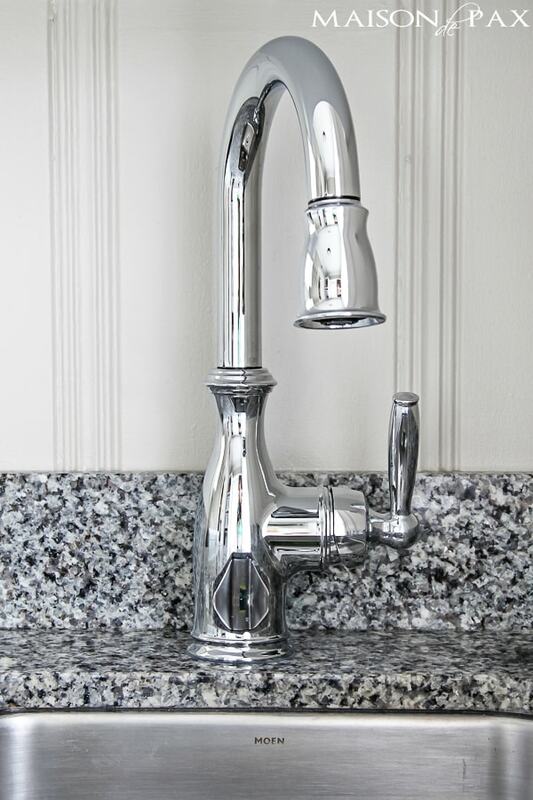 And the faucet*, also Moen, is actually the bar-sized faucet that matches our kitchen one (tour the kitchen here if you like). It’s perfect for adding function without taking up too much space. I know not everyone has windows or even space for a window seat, but if there is any way to fit a bench, do it. There is nothing like a giant hole to put stuff in, right?! Seriously, that is where we store so many things that we don’t use often or aren’t very pretty. It’s amazing how much you can fit into a storage bench and save your shelf space for those everyday things. I feel like I keep giving disclaimers. I know this is a very large laundry room, but the windows do make built-in storage tricky… Here’s is my encouragement to you: even 18″ is enough for a unit like this, and it’s worth it. It keeps me so much more organized! 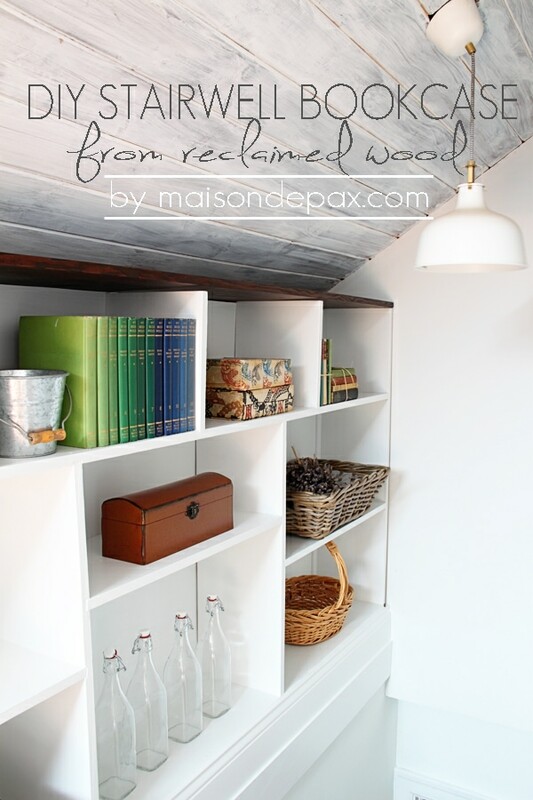 Get more details on our mud room unit here. I know this sounds random, but since I’ve suggested a ton of built-in storage options, chances are you may have a spot like we do that would be perfect for a curtain rod. Rather than a big unit to pull down from the wall, I just put a simple white pressure hanging curtain rod between the two upper cabinets. 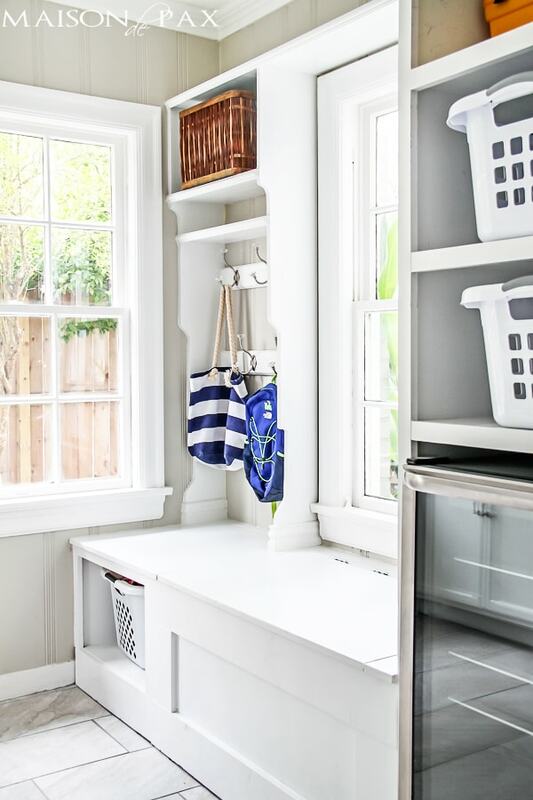 It’s perfect for hanging line-dry clothes and it’s almost totally invisible when not in use! I know not everyone loves white (I do, can you tell? 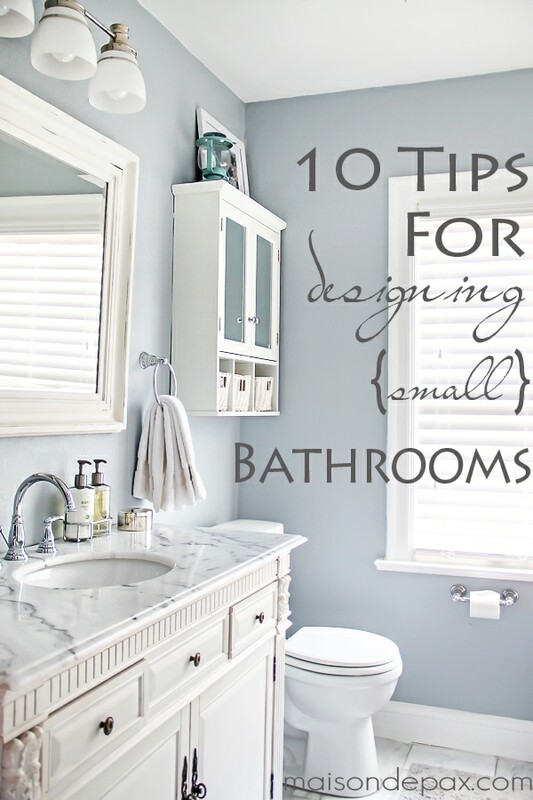 ), but I do think that bright, light colors in a space that is working so hard helps it not to feel too busy. 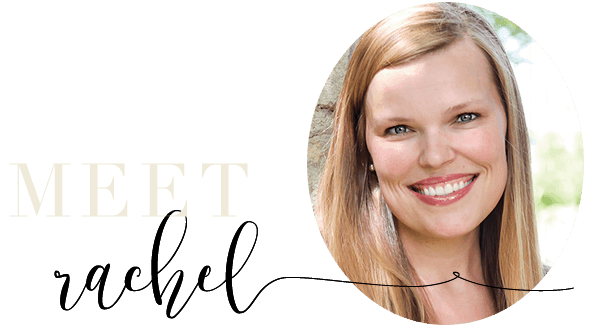 It’s important that you feel happy in the space and that you want to keep it organized… otherwise it can get out of hand quickly (right?!?). 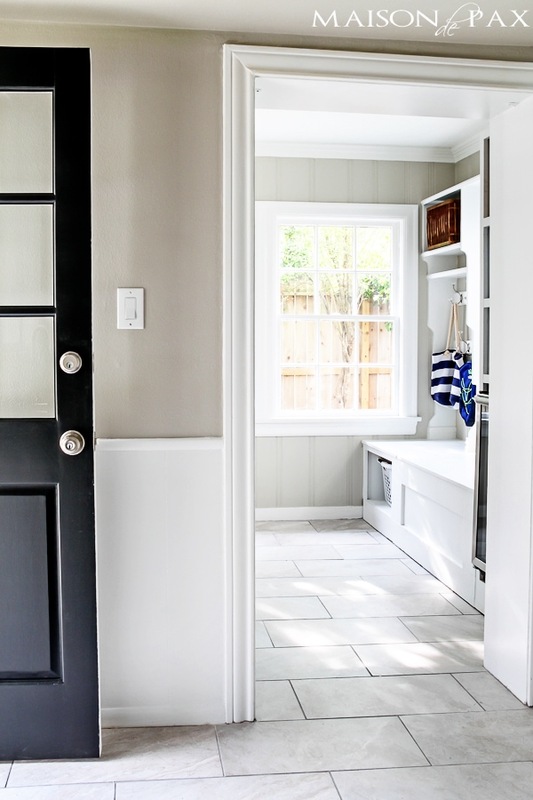 A light, crisp color palette will encourage you to put things back where they belong, an essential to make a room that works this hard a success. Disclosure: A special thank you to Moen for providing the sink and faucet! You can read my full disclosure policy here. Thanks there are a lot of good ideas.